Before I get in to it, I guess I should introduce myself as this is my first post on Virtualization Pro. My name is Hal Rottenberg and I’ve worked in IT for the past 13 years in and around Atlanta, GA. While virtualization is certainly a passion of mine and I’ve been into that for several years, what I find even more compelling is the automation of an IT environment. I’m a Windows guy at heart, so up until a few years ago, automation meant hacked batch files and some confusing VBScript mixed in. This didn’t really scratch my itch, and I often found myself doing things the old manual way rather than attempting to automate things with scripts for the simple reason that it was too much work. I mean, I’m a lazy guy here! That, in fact, is the big lure of automation, right? Do more with less and go home early. That’s my plan, anyway. But the problem back then was that VBScript was often not worth the effort, and my attention span is short at best. Enter PowerShell. I still remember the first day I learned about PowerShell. It was a fine spring day, and of course I was inside at a computer with not a window in sight. Nevermind that. The point I’m trying to make here is that it was such an evolutionary change that I immediately felt compelled to learn all I could about it. And so I did. Newsgroup threads, forum posts and blog entries all flew by, and before I knew it, I’d been nominated to join the ranks of the very few that Microsoft allowed into their Most Valued Professional program each year. At the time, I was one of only 25 in the world to be a PowerShell MVP. As an MVP, I enjoyed (all but) a direct hotline to the PowerShell development team and the support of a world-class group of peer scripters and developers who were in the same boat. The thing about PowerShell, though, is that it’s an enabling technology. It’s cool and all, but it’s the glue and nails — not the framing — of a well-built IT infrastructure. So I set forth to apply my newly-learned scripting skills to my primary job function at the time, VMware Infrastructure administration. Around the time that I tried to put one and one together, I met the right people at VMware and obtained early access to a developer build of what became the VMware Infrastructure Toolkit, or VI Toolkit, which was later renamed to PowerCLI at the vSphere launch. I wrote a book about it, and here I am today. Now that we have the introductions out of the way, you might want to know what it is that I plan on doing ’round these parts. Glad you asked. 🙂 I’m going to be the PowerCLI guy, as you might have guessed. I’m taking it upon myself to keep you informed as to what VMware is up to with the latest releases of its scripting toolkit. On top of that, I’ll help you keep up with some of the great content that I find around the Web that will help you be a better VMware admin. And last but not least, I plan on doing some article-length tips, tricks, and how-tos that you can really dig into. Watch this space, and let me know in the comments what you think of my goals. 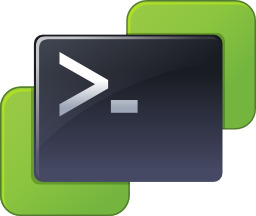 If there’s something specific that you want to see me hit (as long as it has a PowerCLI theme), by all means let me know. In addition to leaving a comment, you can also reach me on Twitter, and I maintain a profile on LinkedIn.